1. Break white chocolate bar into small pieces. Set aside. Mix together cardamom, cinnamon, ginger and cloves. Set aside. 2. Heat heavy cream in a small saucepan, over low heat until it reaches a gentle boil. Remove from heat and add white chocolate and spice mixture to the hot cream. Stir continuously until chocolate is melted and the mixture is fully combined and smooth. 3. Transfer to a medium sized bowl. Cover and refrigerate for 90 minutes or until mixture is firm enough to scoop and hold shape. 4. Line a baking sheet with parchment paper. 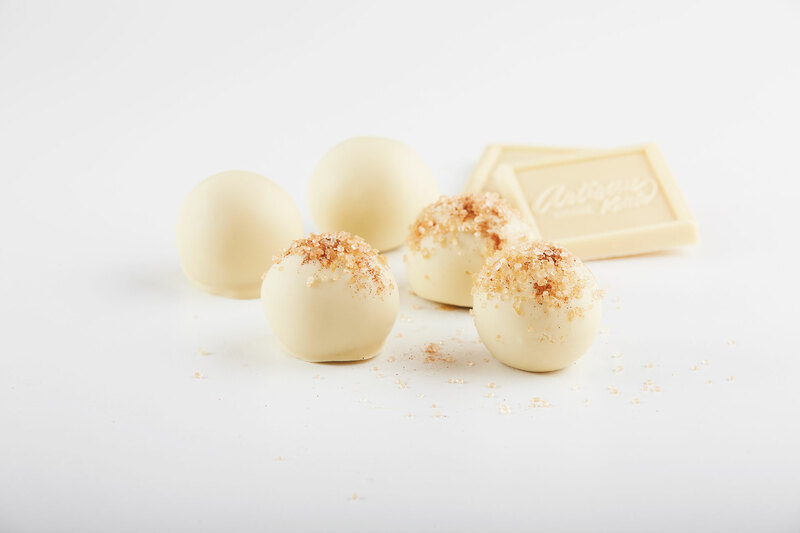 Using a small spoon, scoop out the white chocolate mixture and roll into 10, 1-inch round truffles. Transfer truffles to prepared baking sheet and return to the refrigerator for at least 1 hour before coating. 1. 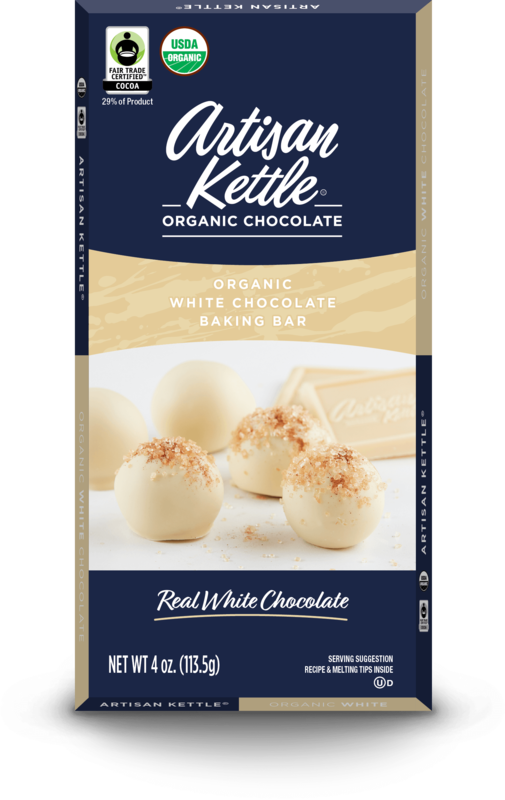 Break white chocolate bar into small pieces and transfer to a microwave safe bowl. Microwave in 30-second increments, stirring in between each, until chocolate is melted. Let cool slightly. 2. Line a baking sheet with parchment paper. Reshape truffles if necessary, then dip in chocolate. Place coated truffles on prepared baking sheet. Refrigerate until ready to serve. 1. Line a baking sheet with parchment paper. Mix together sugar and cinnamon. Reshape truffles if necessary, then roll in cinnamon sugar. Place coated truffles on prepared baking sheet. Refrigerate until ready to serve.